The Ohio State University ranking is 47th in the USA and 51st in the world on the University Review College Ranking List. It is ranked as the 54th best college in the states by the USnews, and the 155th best by Forbes. The Ohio State University tuition fees are $10,037 for in-state and $26,537 for out of state students. It is a selective college accepting 55.5% of applicants. Financial aid offered totals $184 million per year, an average of $11,670 per student. SAT scores for Ohio State University admission requirements (25th-75th percentile) are Math 600 – 700, Reading 540 – 660, and writing 550 – 650. The total composite SAT Score range for accepted applicants is 1150 to 1380. The requirements for ACT (25th-75th percentile) are Composite 27 – 31, English 25 – 31, Math 26 – 31, and Writing 7 – 8. Founded in 1870, the Ohio State University is a co-educational public research university in Ohio. 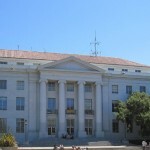 At present, it is the largest university in the United States. The U.S. News & World Report ranks OSU as the best public university in the state of Ohio, and one of the top 20 public universities in the country. Photograph of the OSU campus by Travis Estell. OSU’s main campus is at Columbus. It also has regional campuses at Lewis Center, Marion, Mansfield, Lima, and Newark. In addition, Ohio State University, Columbus, OH runs small campuses and research institutions at Gibraltar Island, the Ohio agricultural research institute in Wooster. The total number of students in all its campuses comes to 59,091, of which 51,818 belongs to its main campus alone. The number of academic staff is 5,202 and non-academic staff strength stands at 19, 277. The total number of undergraduate students is 45,417 – Columbus campus alone has 38,479 – while that of postgraduate disciplines amounts to 13, 674. If you were to look back at the history of Ohio State University, one could find out that the finalization of the university’s curriculum was done not before a long drawn out debate and voting, with the ‘broad gauge’ faction finally prevailing over the ‘narrow gauge’ supporters by a thin margin of 8-7 in the Board of Trustees. The ‘broad gauge’ faction pushed for a curriculum that covers liberal arts and a wide range of studies, meanwhile the ‘narrow gauge’ group was supporting a curriculum that includes agriculture and mechanical arts only. The outcome of that eventual voting in the Board of Trustees lingers even today, with the OSU offering courses in a wide range of studies – instead of limiting to few disciplines – from mechanical engineering, medical science, biochemistry, and physics to molecular biology, arts, business education, and history, to name a few, and in the process, catapulting OSU to become the largest public university in the Unites States. Other facilities in the Ohio State University include many top notch libraries – 21 libraries in the Columbus campus and eight in the regional campuses, and off-campus research facilities – 31 on-campus residence halls, medical care facilities, book store, banks, and a comprehensive recreation center that encompasses play areas, stadiums, and basketball courts. 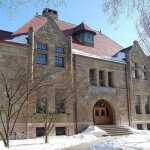 As a member of the List of Public Ivy Schools, it is closely associated with institutions such as University of Florida, University of Colorado Boulder, Rutgers, and University of Minnesota, Twin Cities. Other colleges in Ohio state include University of Dayton, Miami University, Kent State University, University of Cincinnati, and the CASE Western Reserve University. The university is ranked as the 57th best in the world by the THE.